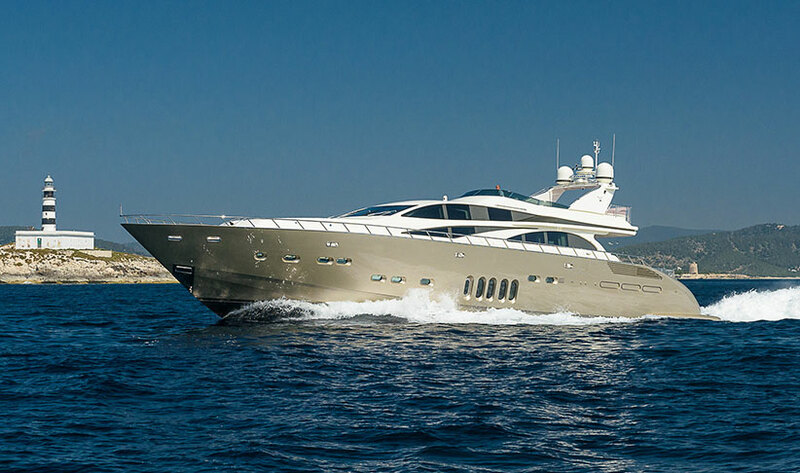 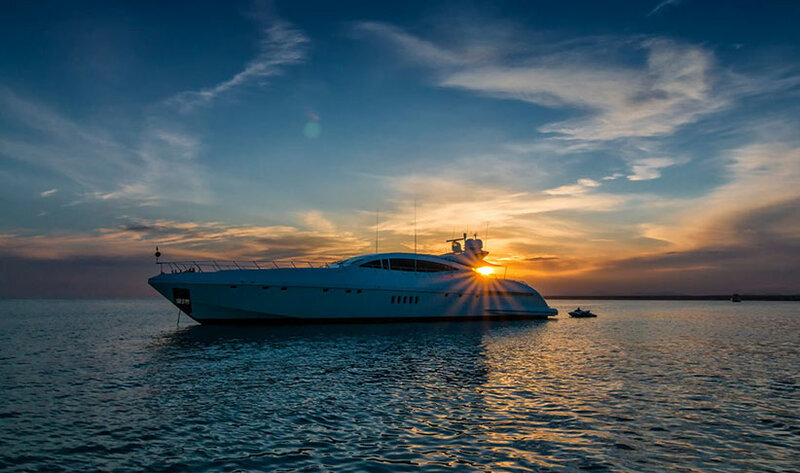 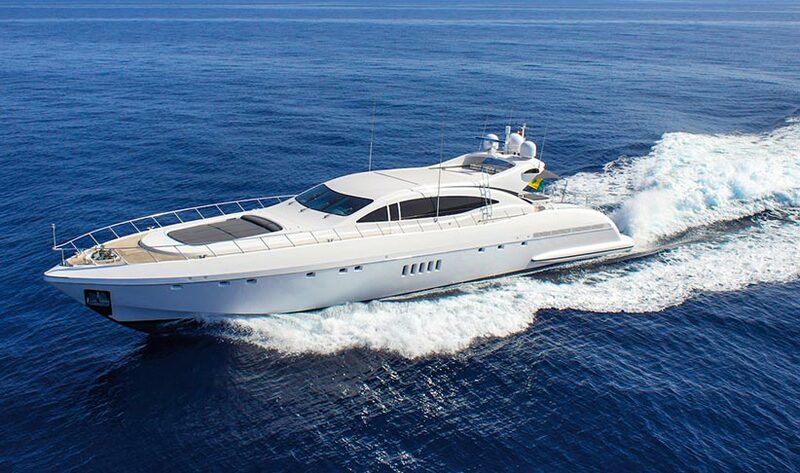 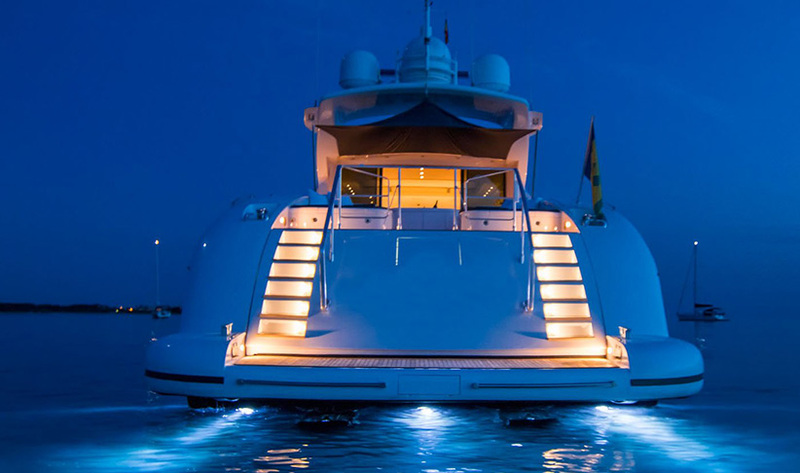 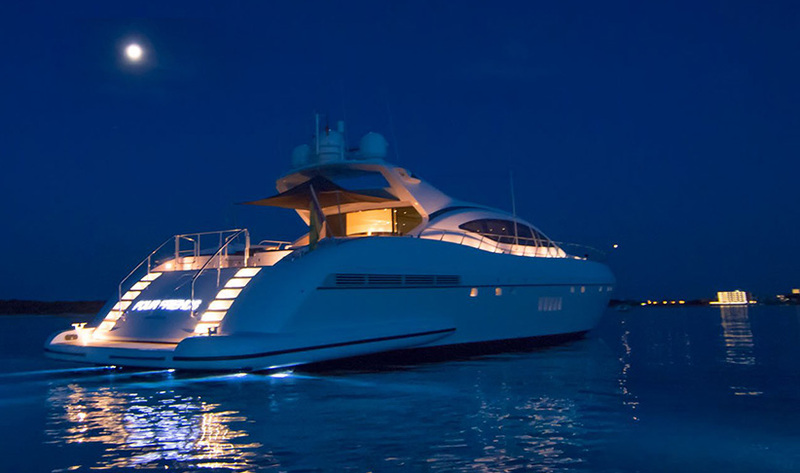 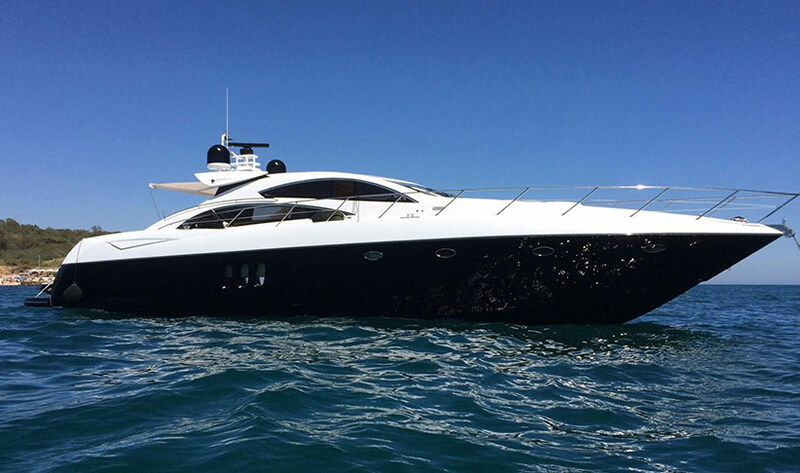 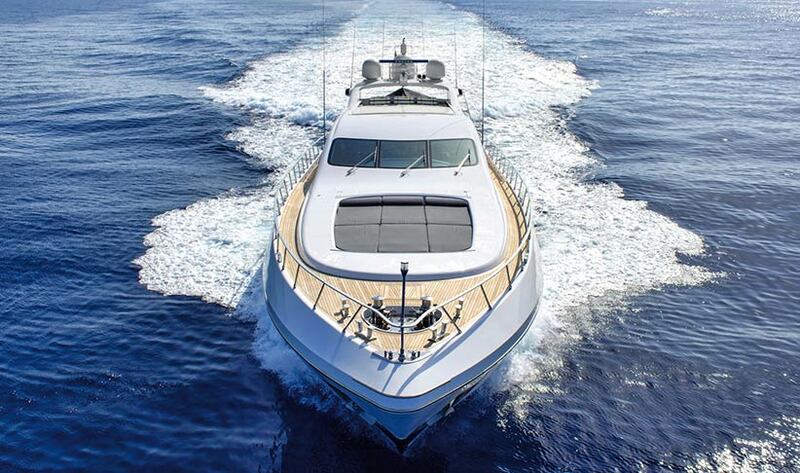 This Mangusta 108 Open is called FOUR FRIENDS is ideal for both families and friends. 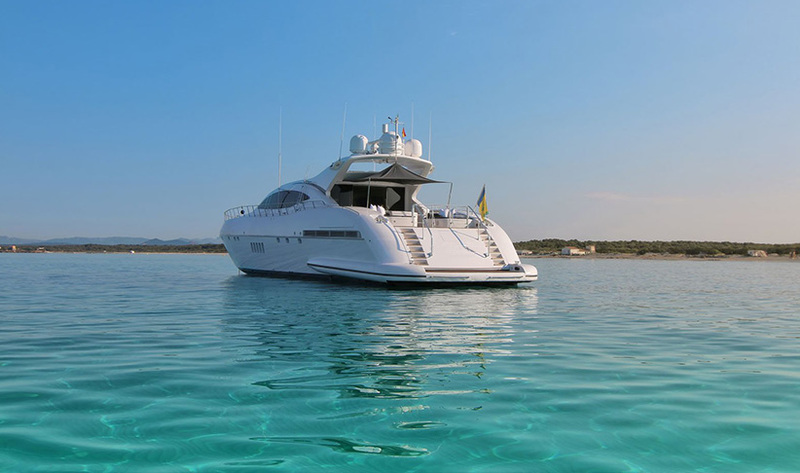 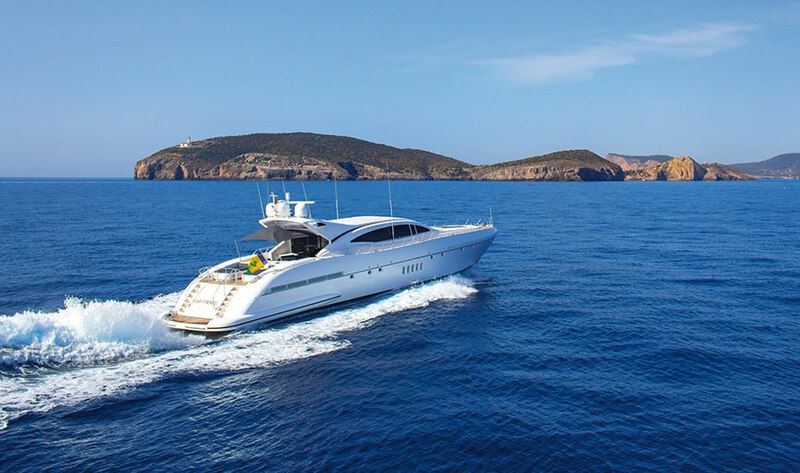 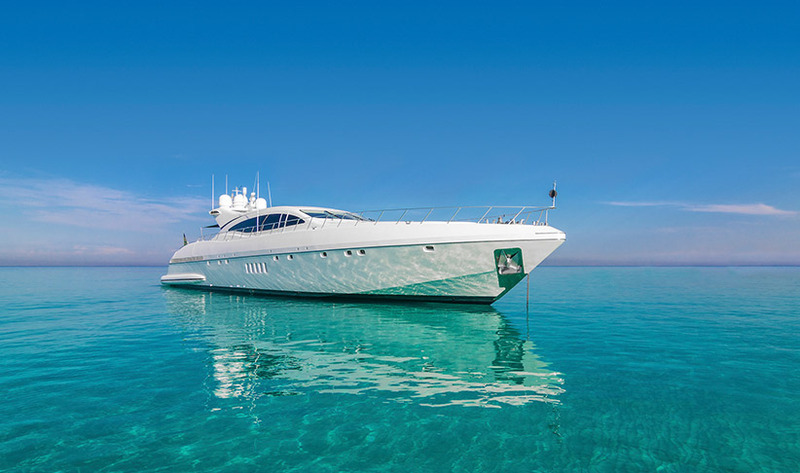 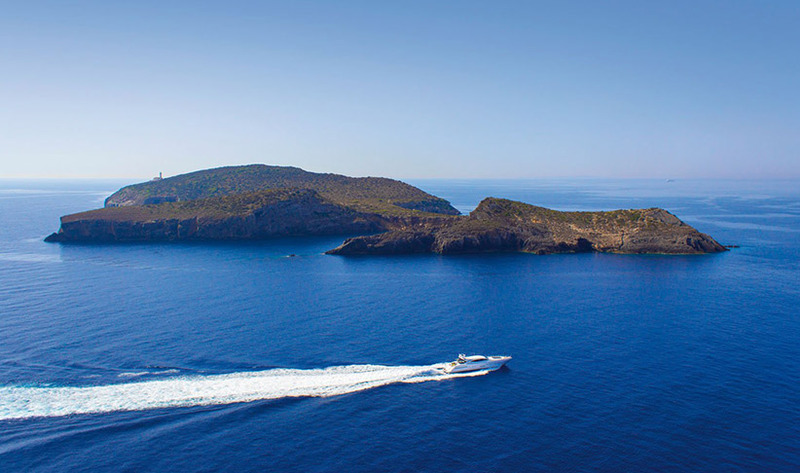 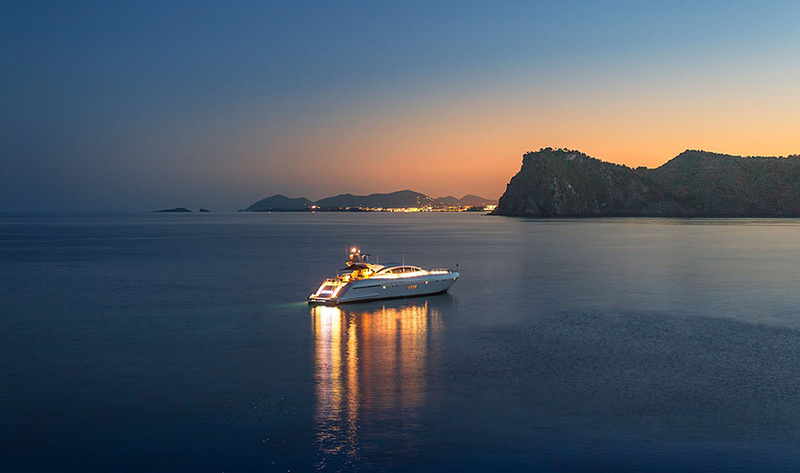 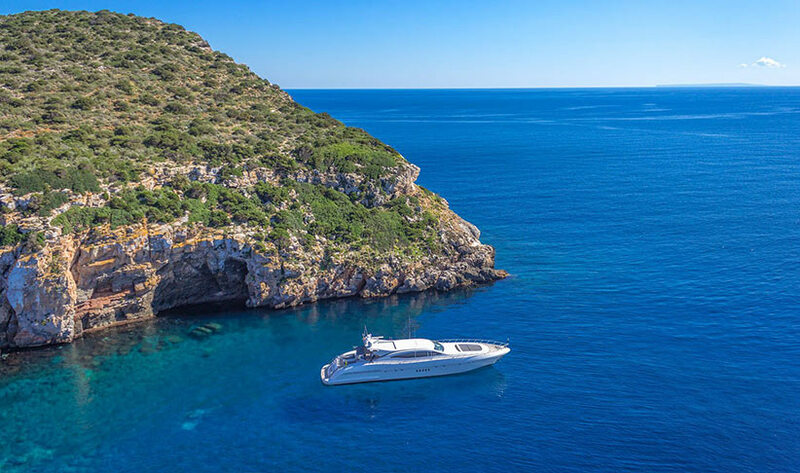 Built in 2002 and fully refitted inside in 2015, the Mangusta 108 sleeps 6-8 guests in 3-4 luxurious, spacious cabins. 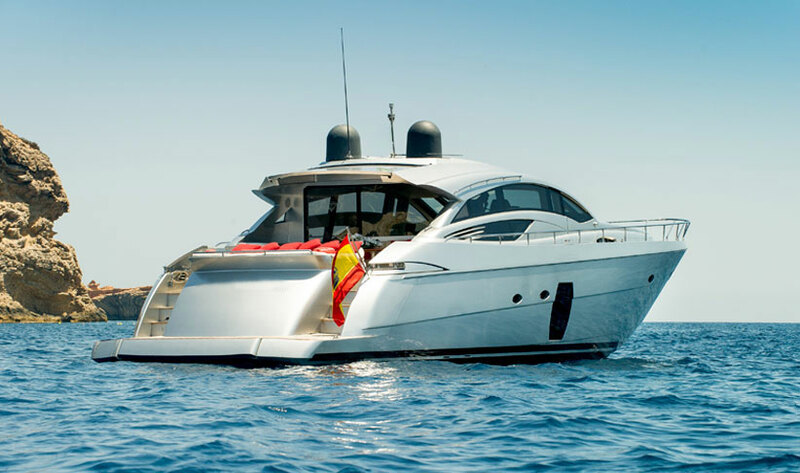 MY or SY Four Friends is a sporty high-performance model combining superior levels of comfort with exciting cruising and top speeds of 25 and 34 knots. 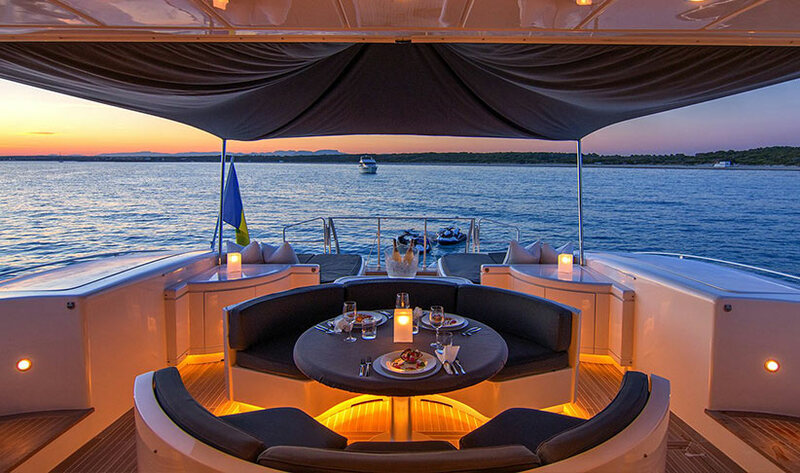 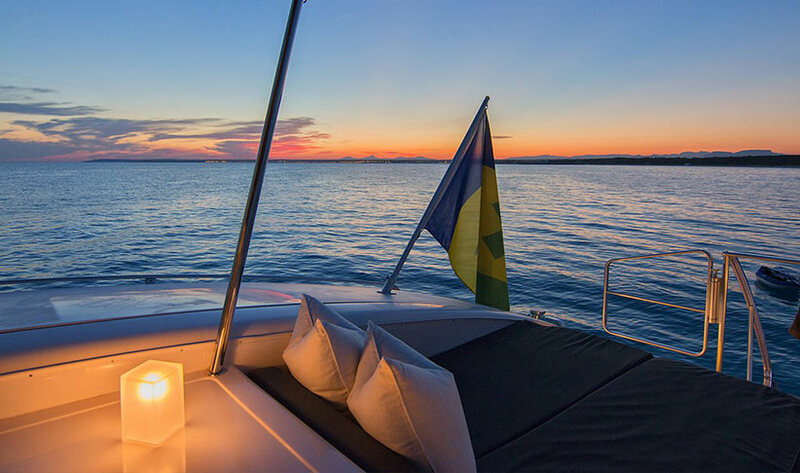 Both the interior and exterior spaces offer an amazing sense of freedom on the sea. 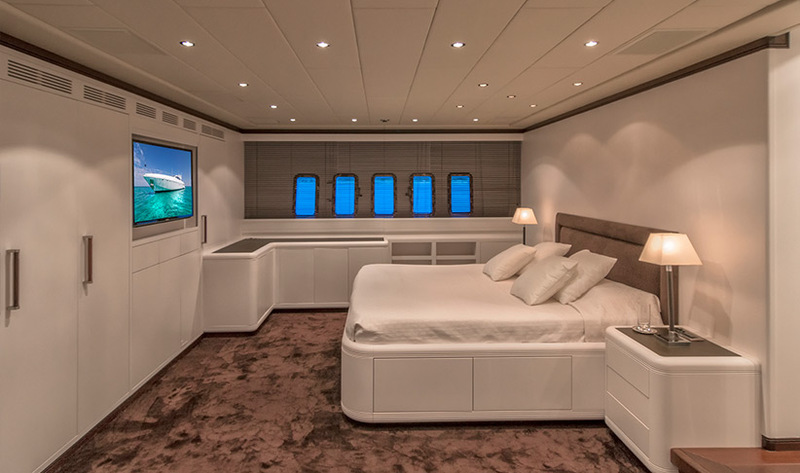 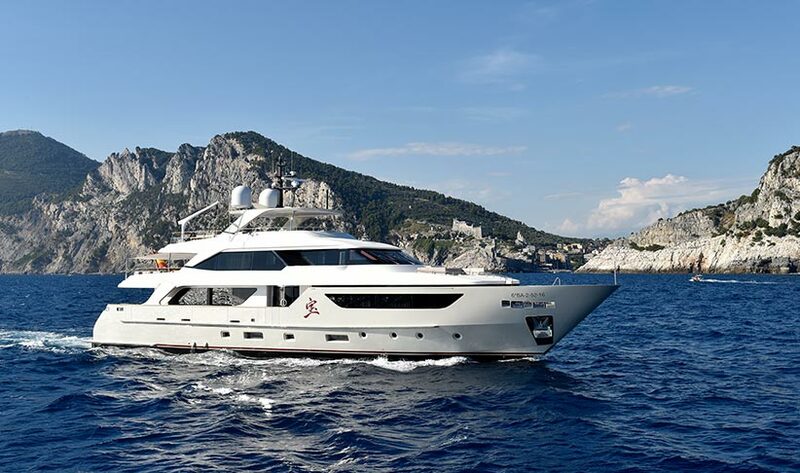 The master en-suite cabin is of a size found on many 40m+ yachts. 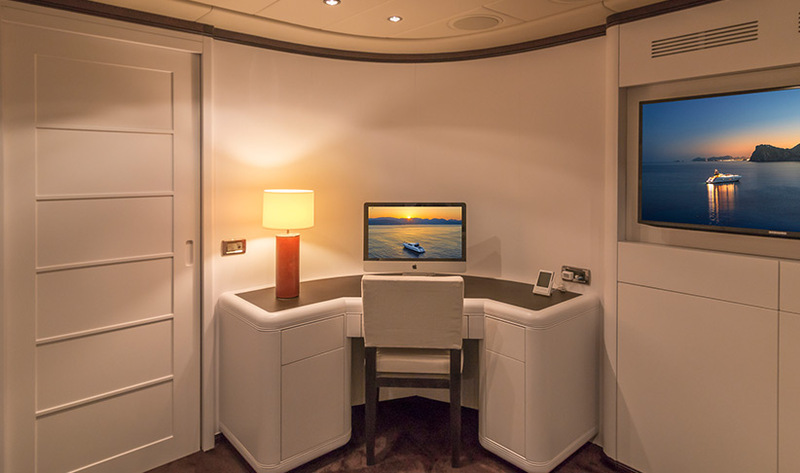 The VIP en-suite cabin has a Queen-size bed and vanity area. 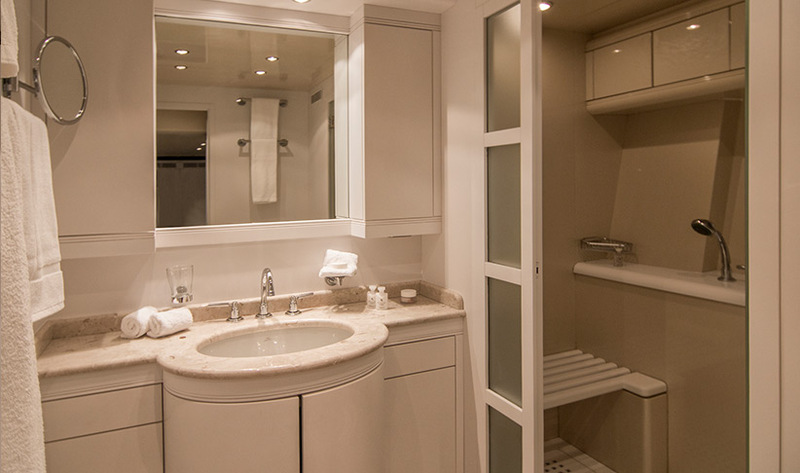 The third en-suite guest cabin has a Queen-size bed. 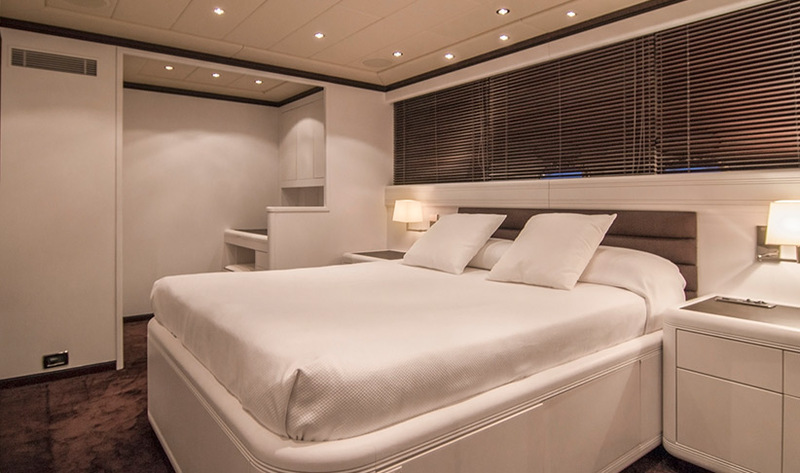 The fourth cabin can be used as an office / massage room or converted into a comfortable double with a fold down bed, ideal for children. 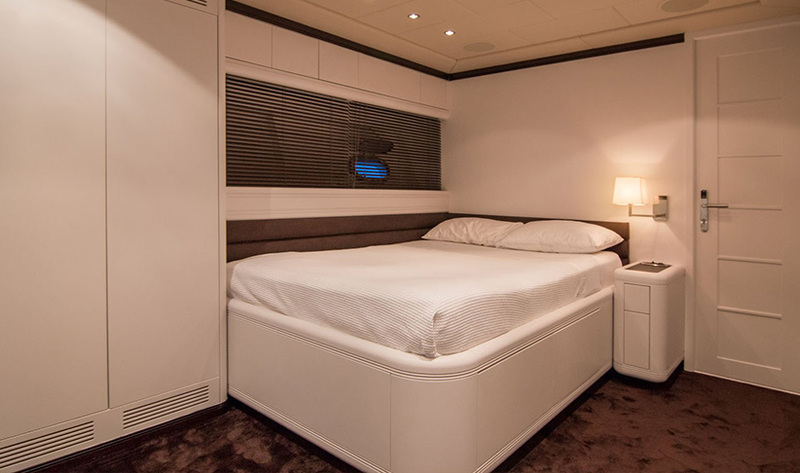 NB The fourth cabin is not en-suite. 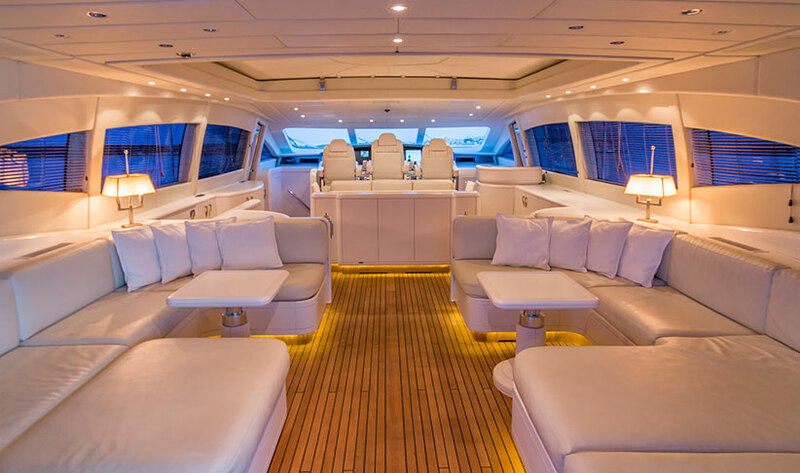 Each cabin and the salon is equipped with large screen TVs with Apple TV film library & Sonos sound system throughout the yacht. 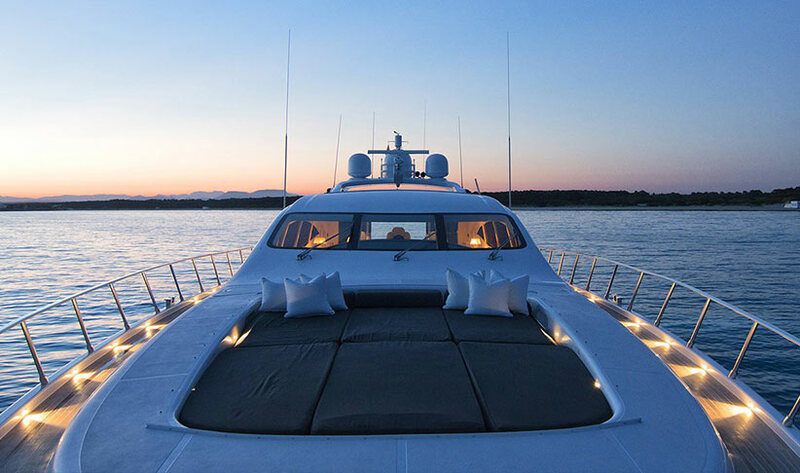 There's also WIFI throughout. 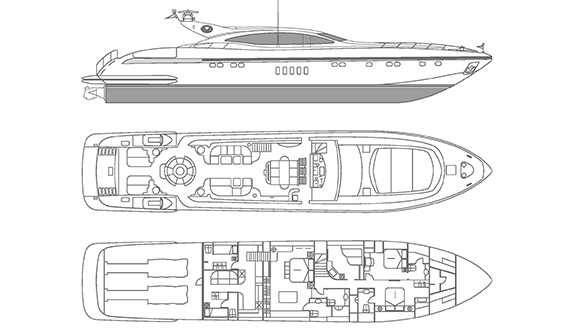 The spacious deck saloon has 360 degree views over the deck and cockpit, as well as TV. 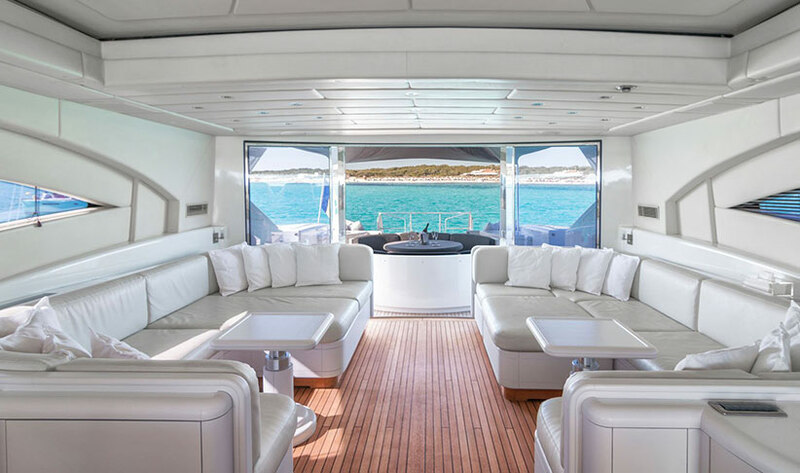 Adjoining the saloon is the interior dining area seating 8 guests in absolute comfort. 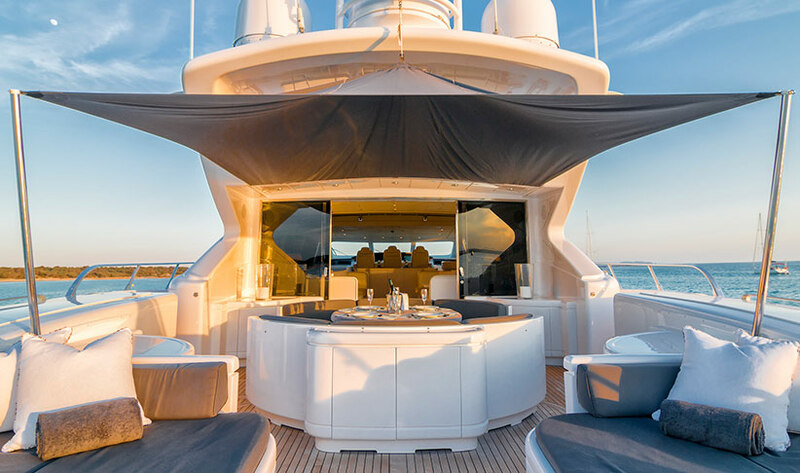 There is also a retractable sunroof in main salon. 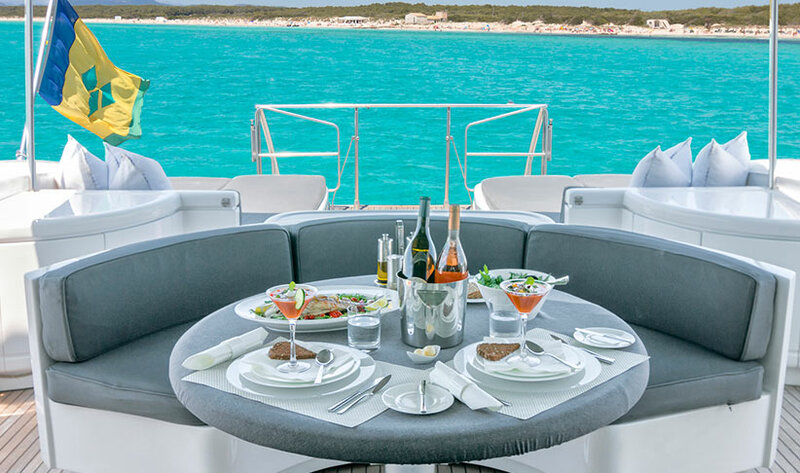 On the aft deck to the rear there are spacious sunbeds and outside dining area with awning, which seats 8. 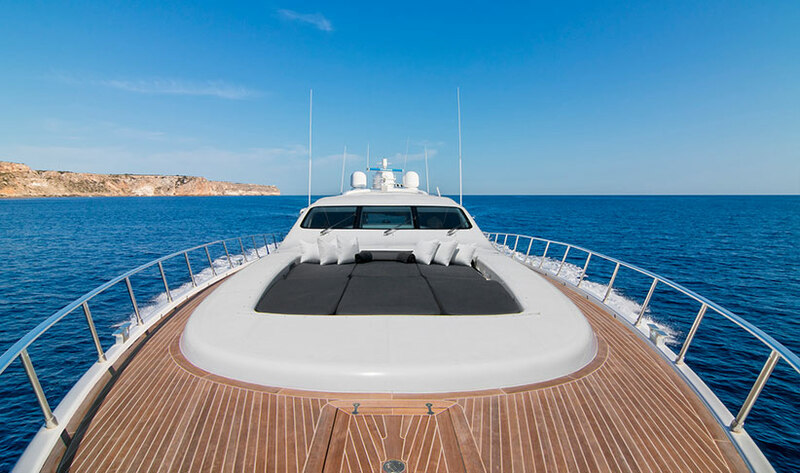 There's a very large private fore-deck sunbathing area, with 270 degree views. 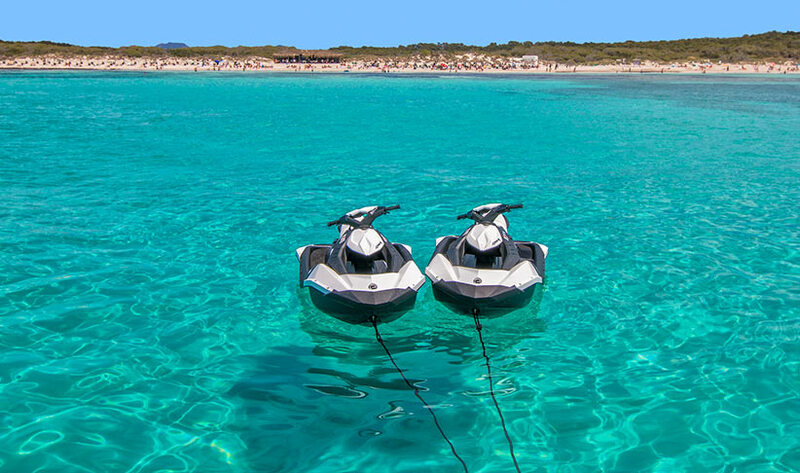 The hydraulic garages below store the two Seadoo Spark JetSkis and Seabob as well as the Williams 445 Jet Rib tender for 7 persons or watersports.